Check out this video of Joulin in action. You'll see pick and place across many different industries with a wide variety of products, small and lightweight to bulky and big, commercial to consumer, easily breakable to robust. Rotated horizontally or vertically - while holding items. But that's only a handful of examples of the potential applications. Joulin grippers are the only vacuum systems that do not require filters. They're not sensitive to dust, moisture and other potentially damaging elements. The possibilities are countless. 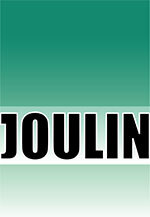 Joulin might just be an excellent fit for you.